I hope you are doing well and enjoying this fall season we are now in! Here in Romania fall has definitely began as the days feel cooler and it is now getting darker a bit earlier but my favourite part of fall is when I see the leaves change colour! On Friday September 10th, I took a seven hour train ride with my friends Dana and Stefan to Subcetate for the weekend. 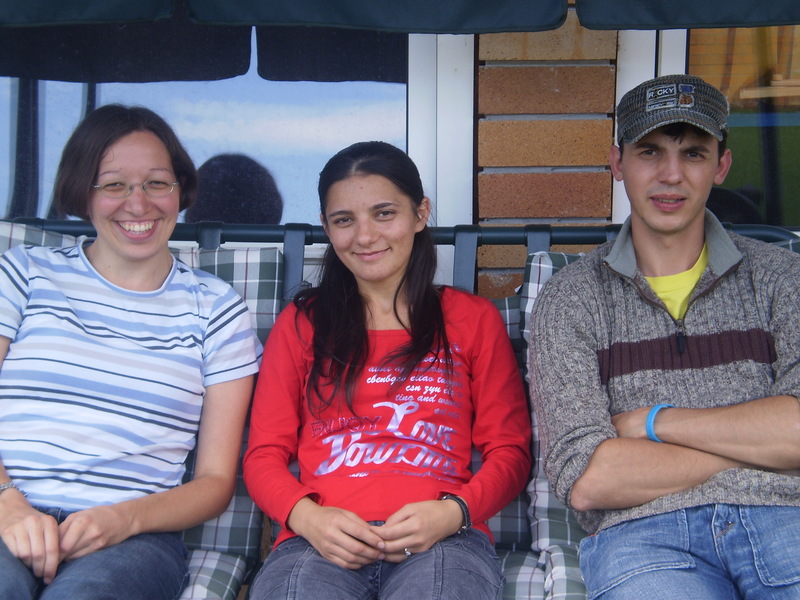 We stayed at a Christian camp in the beautiful mountains in Brădătel. We went there for a prayer conference which was a gathering of prayer intercessors from all over Romania. It was a wonderful weekend to spend time with my friends, meet new people and seek God together. I was amazed how far some people travelled to come and so inspired by their hunger for God! I am with my friends Dana and Stefan. For me personally it was so refreshing to get away for a weekend to spend time with my friends and take time out of my busy schedule to seek God. Lately I had been feeling a bit dry spiritually so it was such a God divine appointment for me. The Lord definitely taught me a lot during the weekend about faith and prayer. God did something deep in my heart on Saturday afternoon when my friends prayed for me. They prayed for my struggle I have with my negative thoughts and my fear when I speak in Romanian. I really believe God healed and set me free because after that I had so strong desire and such a joy to speak in Romanian! The last service of the conference on Sunday I even gave a short testimony in Romanian about how I used to be afraid but now I know that I can do all things through Christ. This was something I was not expecting to do however I believe God wanted me to take that step of faith! Back to School in Sabolciu! Beni and Boby in front of their high school in Oradea. their first day of school! When we visited them that day we also brought new backpacks, clothes and shoes for school. The kids were so surprised because they were not expecting it! It was a lot of fun handing them out and seeing their big smiles on their faces! I also want to share some more BIG news with you!! Beni and Boby who are two teenage boys from the village are now going to high school in Oradea! They are the first people ever to go to high school from the village. They are specializing at a mechanic school. They are really enjoying it. We are so proud of them for going back to school because we know this is definitely a huge achievement for them! My wallet – A miracle by God! 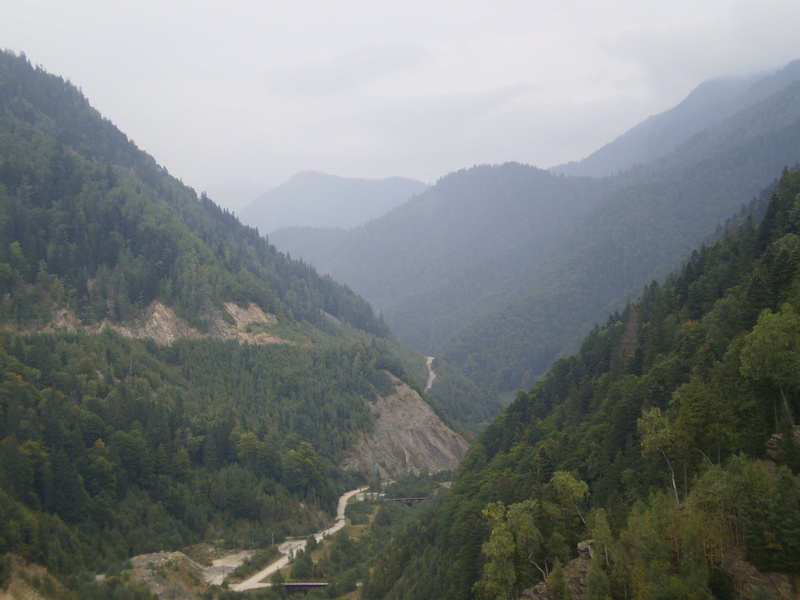 The beautiful mountains in Brădătel! think there were at least 15 teen orphans wanting to help me. Wow, I never realized how much they cared for me! At the end of the evening we found my wallet in one of the taxis that I took with Andreea and the driver was even a Christian too!! Praise God! I praise God for what He did in my life at the conference and for the victory I have in Him! I praise God for His continual care, His continual provision, His continual presence in my life! I praise God for all of the little and big miracles I am seeing in the ministry at Sabolciu! I praise God for the daily encouragement He gives me through my family and friends! For continual closer relationships with the children in Sabolciu and for my English classes. I especially would like to ask prayer for better discipline in my classes. For continual confidence in my speaking and understanding in my Romanian. For continual closer friendships and I’m still seeking a prayer partner. For continual daily growth in my relationship with God especially in the area of my thoughts. For the Lord to help me manage my time better during the day especially to go to bed earlier.